If you’ve never attended a NACS Show before (the premier industry event for convenience and fuel retailing), you may want to include this in your “must attend conference” list. The conference hosts more than 20,000 industry stakeholders from around the world and boasts a large expo floor with plenty of exhibitors to meet, and treats to devour! While C-Stores are becoming larger and supporting more complex equipment, it’s become imperative that they be better maintained to drive customer interest and repeat business. This year’s NACS Show provided attendees with solutions they need to enhance their C-Store facilities and locations. 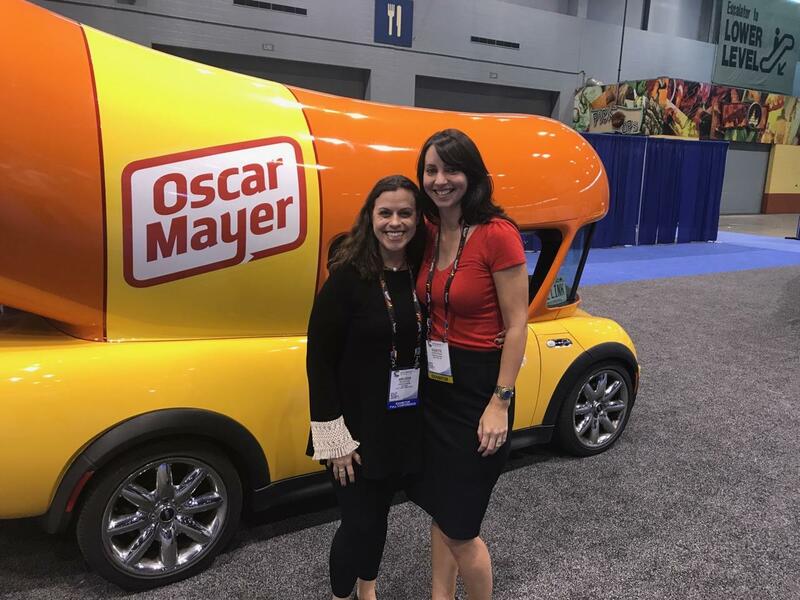 With over 410,000+ net-square-foot expo floor space and over 1,200 exhibiting companies, it was no surprise that you could get lost in a sea of quick-serve restaurant tastings and gas pump displays. The expo allowed for thousands of companies to share their products and service offerings. 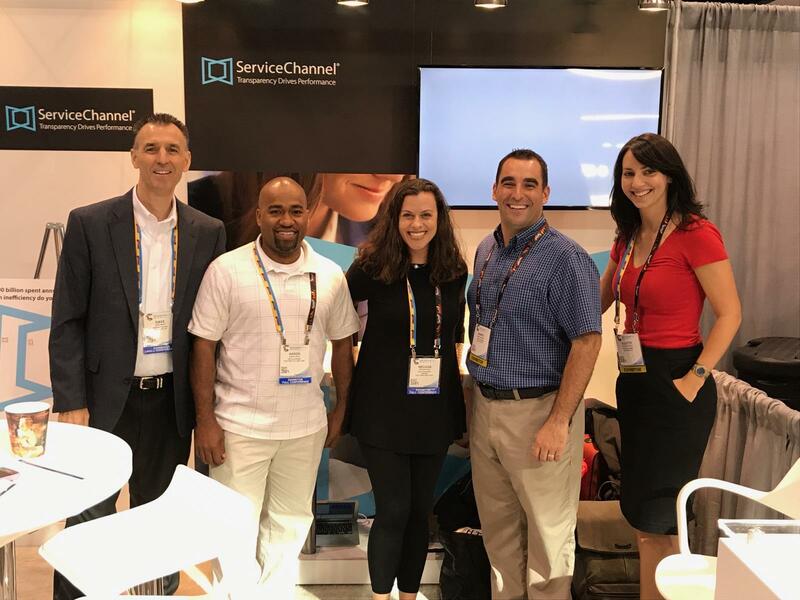 For those interested in driving efficiencies, gaining visibility and reducing costs across their C-Store locations ServiceChannel provided onsite demos and engaged attendees with the capabilities and benefits that a number of C-Store companies are realizing from our Service Automation software solution. Service Automation was built to deliver solutions to all types of problems C-stores may encounter, such as maintenance issues like store and grounds appearance, as well as cleanliness. Both of these are becoming more of a factor in consumers’ decisions. It was unanimously agreed that without a service automation system in place, work order related emails and related communications can flood your inbox and when missed or not addressed in a timely manner, negatively impact the quality of service you deliver! 2 – Customer Interaction is Paramount. Owners are literally spending millions of dollars to improve their customers’ experiences. As competition continues to increase in the C-Store industry, companies are looking to partner with reliable technology solutions. ServiceChannel seamlessly integrates an array of best-in-class technologies with its facilities management software to provide a wide array of comprehensive solutions for forward-think convenience store professionals . TempAlert transforms how organizations sense, monitor and make decisions. Using IoT-enabled sensors and web-based software, TempAlert automates monitoring for food safety, energy management and preventative equipment maintenance. Canary Compliance lowers the cost and complexity of underground storage tank compliance management for the retail fuels industry throughout a powerful combination of connected hardware and intelligent software. Titan Cloud Software is the fuel industry’s leading cloud platform. Helping the fuel industry manage riskand fuel profit, Titan solutions provide continuous monitoring of fuel inventory, deliveries, alarms, variance, meter drift, flow rates, facility compliance data, and much more. All these solutions allow any C-Store company to automate more of their repair & maintenance operations by leveraging these powerful solutions with ServiceChannel’s facilities management platform. s, pumps, tanks, lights, HVAC, etc), it’s no surprise that quick-serve restaurants and food companies in general, are quickly stepping up to the plate to provide even more delectables to serve to customers during their shopping experience. The expo floor boomed with food brands showcasing their latest product enhancements and allowed for ample amounts of free tastings. 4 – What Do a Best-selling Author, an American Hotelier and a Hollywood Icon Have in Common? They’re all part of the NACS Show general session line-up! The first day of the NACS Show expo kicked off with Eric Chester, award-winning speaker and the leading voice on Employee Engagement & Workplace culture (the Bestselling Author). Chester believes the only way for a c-store to stand out is to create a culture that makes your store a terrific place to work. Wednesday’s general session welcomed Chip Conley (the American Hotelier), hospitality, entrepreneur and author and speaker. Conley shared lessons learned on how to be a great manager by observing one of his former bosses do it all wrong. The lessons come not just from his McDonald’s shift work as a teenager, but also from his experience as founder of the second largest boutique hotel brand in the world—Joie de Vivre Hospitality—and from his more recent role as the original head of global hospitality and strategy for Airbnb, where he is now strategic advisor. And lastly, Friday ushered in this year’s keynote, Captain James T. Kirk… William Shatner (the Hollywood Icon). Shatner discussed convenience retailing and topics ranging from safety to competition, to the future of a competitive convenience. The NACS Show was a great experience. We’re excited to see how C-Store trends and technologies develop in 2018, and look forward to learning how the facilities marketplace can help shape the future of this sector.